Always a pleasure. I feel that the office is my true "Dental Home"
On a scale of 1 - 10 10 being the best your whole office, staff and dr. Beckham get a 100. You all have exceeded my expectations. Thank you. 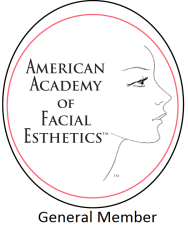 is a member of The American Academy of Facial Esthetics which is dedicated to providing the most advanced minimally invasive techniques for beautiful facial esthetics. Ask us about your personalized facial esthetic treatment options today! Radiate beauty from the inside out by receiving a facial esthetic treatment from those who know it best. You can now achieve the esthetic improvement you desire, all in one quick visit. The most common uses for Botox is smoothing of the facial wrinkles of the forehead, between the eyes (glabellar region) and around the corners of the eyes (crow's feet). These are the most common cosmetic uses that have put Botox on the esthetic map. Bring out the beauty... right here in our office!